Summer is in full force and along with the sun and blue skies, everyone craves a little adventure. The best part is that there’s fun right in your city and beyond! One thing we love to do every summer is create a summer bucket list. One for us as a couple and another for the family and we try to check off as many as we can! I’m a firm believer that if you’re gonna spend your hard-earned cash, you should spend it on experiences and memories–not things. Live in the moment, enjoy each other and most importantly be present. This summer, with the help of Breakaway Experiences, you can do just that! They have all types of experiences for every type of person. From action, adventure, water sports, dining, golf, spa, tours and romantic experiences—-you’ll find something for everyone. You can find adventure in Alberta, Atlantic Canada, British Columbia, Ontario, Quebec and Saskatchewan. Have you ever wanted to see some natural beauties of the world from up above. There is nothing more thrilling than lifting off on an adventure of a lifetime with a 20-minute helicopter tour over the breathtakingly Rockies or may you’ve always dreamed of learning to fly the actual helicopter. How about seeing one of the world’s naturals wonders from a bird’s-eye view? 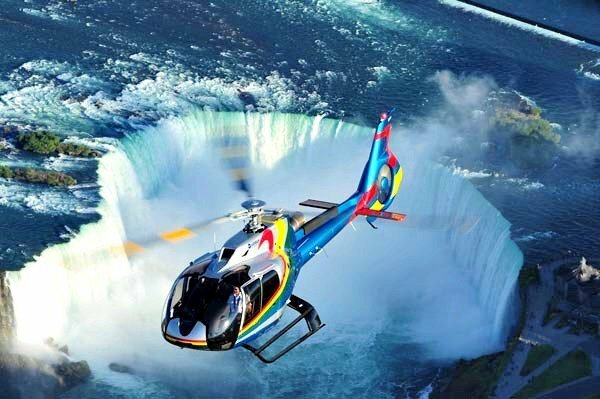 From the sensation of lifting off, to the thrill of soaring above the turbulent rapids and cascading waterfalls, a Niagara Falls Helicopter Tour is a unique and spectacular experience. Not only is it adventurous but, it can be pretty romantic seeing such a majestic sight with your loved one. If you go with your kids, they’ll be amazed and see the Falls in a way that they can’t see in history books! Riding a Segway is one of the most fun ways to see the sights. Whether it is a city tour or if you go off-road, one thing is for sure–you’ll have a ball. Taking the Horseshoe Valley Off Road Segway Adventure will begin with a 10-15 minute introduction and training on the Segway x2. After the training session, you will join two professional guides for a tear across a variety of terrains, inclines and conditions of Horseshoe Valley. 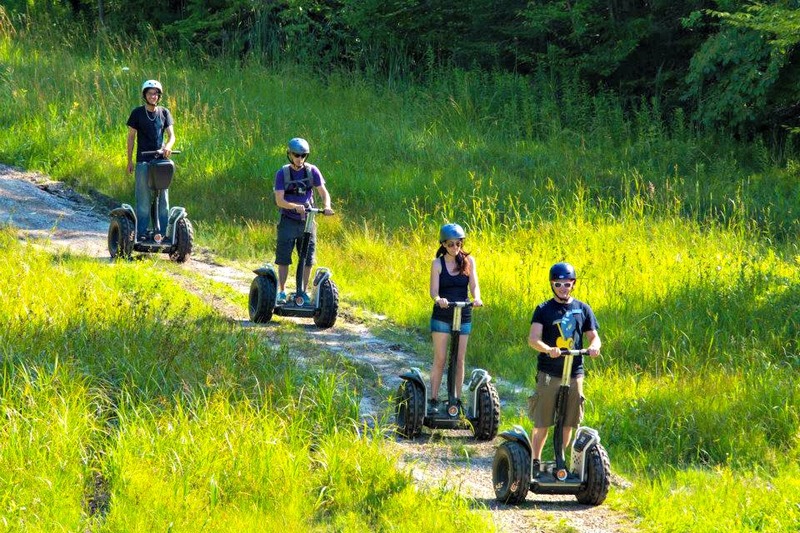 You can find more information about Segway Tours for family adventure in Toronto, Edmonton, Halifax. Spending the day on the water is simply alluring. Getting on a sea doo, smelling that fresh air and feeling that speed is any adrenaline junkie’s dream. 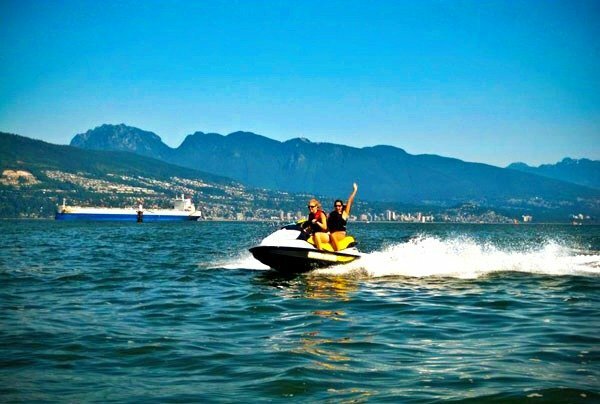 If you’re in BC, hop on a sea doo and follow Vancouver Water Adventures’ skilled guides through English Bay and Howe Sound. This is the best way to get over to the islands for dinner. No matter what type of expedition you are craving, Breakaway Experiences can help you get your fix. If you want to give the gift of thrill, they have you covered too. 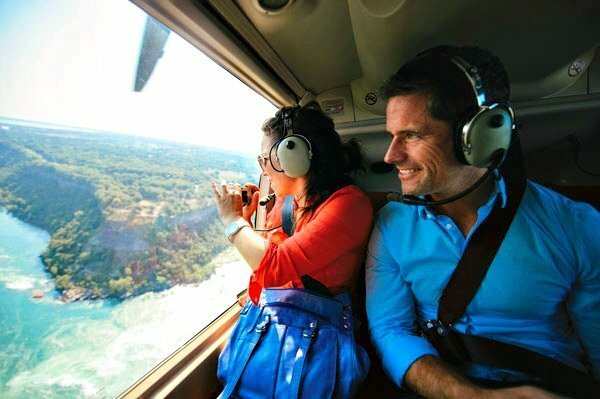 I know that I will be surprising my Hubs with an adventure of our own and a helicopter ride over the Falls is looking mighty tempting. Count me in! If you are looking to give a gift that is outside of the box and extraordinary, you’ll find experiences for him, her, couples, families and even relatives who are just visiting and new moms! Heck, there’s even experiences for large groups. They do say the more the merrier, right? One lucky Whispered Inspirations reader will WIN a $100 Breakaway Experience gift certificate to use towards their own adventure! This contest opens on July 11th, 2016 and ends on July 26th, 2016 and open to Canada. You’ll find Canada’s most exciting experiences and adventures, from stock car driving and flying lessons to, spa days and unique cooking classes. So, think outside the gift box and give an experience… Great for birthday gifts, wedding presents, anniversary gifts, Christmas gifts and more. Visit Breakaway Experience’s website for more information and follow them on Twitter , YouTube and Facebook for the latest updates! Where would you go on your next adventure? I think the City Slicker Horseback Riding Adventure would be really fun to do. I’d like to go to Hudson Bay. I would love to learn to fly a plane! I would want to do the Horseback Riding Adventure. Always wanted to ride a horse but, so nervous and having had any training. I would take the Edmonton Paintball Adventure. I would like to go on the Biplane Flight Over Parliament Hill for 2. The Offroad Scenic Hummer Adventure would be fun to try too. Would love to go on one of their brewery tours! I would choose Explore The Rockies Helicopter Tour. Sounds fabulous! My boyfriend would LOVE LOVE the Biplane Flight Over Parliament Hill for 2! I would love to go on the Friday Night Cheese and Wine Sails adventure. I have always wanted to go on a hot air balloon ride. I would love to try the City Slicker Horseback riding Adventure. So many awesome sounding adventures! I would love to try the archery lessons in Caledon. In case I ever make it on the Amazing Race, I want to be prepared. Learn To Ride Horseback Ride Adventure, always something I wanted to do. I want to bring my sister horseback riding! The Niagara-on-the-Lake Discover Wine Country Cycle Tour sounds really fun! Such a toss up. I’d be torn between a water adventure, a culinary experience or a spa retreat. 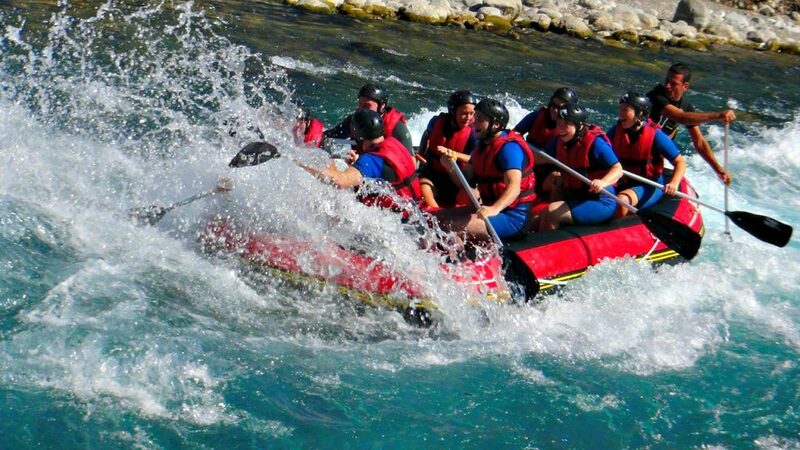 Whitewater rafting sounds like fun. A hot air balloon ride sounds amazing. A stunt driving experience would be super fun! Ottawa Craft Brewery Tour would make a great gift for someone I know! It would be great to go on a hot air balloon ride. The Whistler Backcountry Air Safari would be a sight to behold! Wow! It looks amazing! Ooh my husband would love the stunt driving one. Thanks for the chance. I saw some Segway tours in Toronto that would be a fun thing to do with my daughter! I want to try the horse back riding adventure with my daughter. 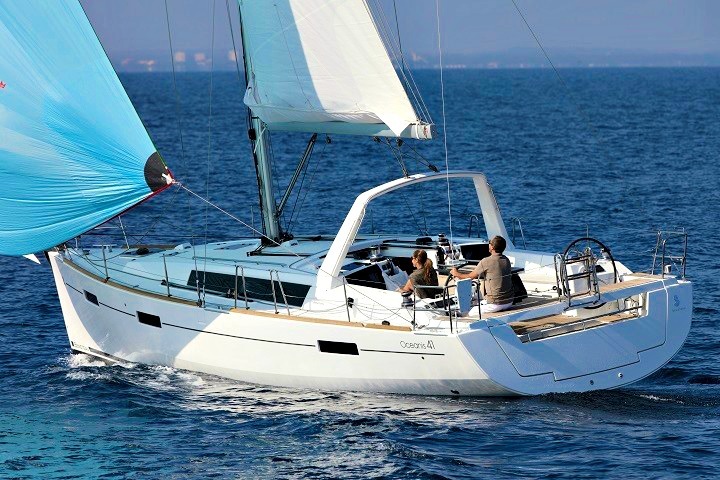 A day on the water sounds so nice! Horse back riding would be so much fun !! Hummer Snowshoe Adventure might be fun since we are often up to the Collingwood area. I would love to try the Stunt Driving Experience! I sent my hubby on one a couple years ago and I would love to give it a try. Horseback riding, my daughter would love it! I would love to Discover Scuba!!!! I would love to do the Beer Makes History Better walking tour! Too far for my to do but the Dark Table Restaurant in Vancouver might make a different gift for my sister who lives out there. how cool would a Biplane Flight Over Parliament Hill for 2 be? The Bi- Plane over Parliament Hill looks cool! I would love to do the Hot Air Balloon. A hot air balloon ride would be great. I think any of the Segway tours would be fun just to say you road one. I would love to do the Local Vacation Photographer Experience. It’ll be great to get some nice family photos while checking out our own town. Off Road Scenice Hummer Tour in Barrie sounds like fun. A hot air balloon ride would be amazing. A Biplane ride over Parliament Hill. the Drifting and Spinning Experience to learn stunt driving! Stock Car Driving Experience, Delaware Speedway because my brother would LOVE this – they go to Deleware Speedway all the time! A hot air balloon ride would be wonderful. Horseback Riding Adventure appeals to me, have always wanted to ride a horse. I know someone in my family who would love the Stunt Driving one. A hot air balloon ride. I would love to do the Horseback riding,bet it would be fun ! Chocolate Bodywrap might be an experience to try. I would choose an Outdoor Activity, perhaps dog sledding.